No sane leader has ever suggested an increase in nuclear arms since the Strategic Arms Limitation Talks (START) began in 1982 between the then Soviet Union (and later Russia) and the United States. Those talks were aimed at reducing the Number of nuclear warheads and the missiles and bombers capable of carrying them. include existing warheads that are slated for deactivation. Now that’s a lot of nukes, enough to wipe out the entire planet several times over. You could make the argument that our stockpiles and delivery systems are aging, but no one has suggested they won’t work. To the contrary, the experts are very certain they will work. So, you might make a case for updating the weapons and the delivery systems, but there is no case to be made for more nuclear weapons. Russia is the only country that is any kind of a match for us, no one else even comes close not the Chinese, the North Koreans or anyone else. Our nuclear triad (land, sea and air-based weapons) is more than capable of meeting any threat. Trump wants to increase the power of the triad now and just a few months ago he didn’t know what it was. Can anyone think of any good reason to increase the number of nukes? You can be sure that if we do that, so will the Russians. And…in so far as the North Koreans are concerned we could wipe them out ten times over and still; have over 4,450 warheads left with our present supply. Will adding a hundred or even a thousand more warheads make North Korea any more peaceful? No, of course not. you cannot intimidate a lunatic. nuclear weapons. Trump’s tweet could easily cause a world crisis. But…let’s put this issue in perspective. The United States as mentioned earlier has about 4,500 nuclear weapons. Russia has roughly an equal number. Together the two nations have 95 percent of the nuclear weapons on earth. So, the question that begs to be asked is, how many do you need? Well, the correct answer is probably none. Who really needs nukes? But, if there is a war that escalates into a nuclear exchange it would take very few nuclear detonations to totally disable the United States. Ok, let’s say the experts are wrong, really wrong and it would take 1000 nukes to end the world and they were all ours. We’d still have 3500 more ready to go. When I started researching this blog, I wanted to be fair so I searched for reasons to expand our nuclear arsenal and I found none that made any sense. I also found that only Vladimir Putin and Donald trump want more of them. Whoops, I forgot about that twerp in North Korea. have too many nukes and need to get rid of more of them. We don’t need to add more to the arsenal. And – I’m not really sure Trump wants more nukes. I think that several nights a week Melania must roll over and accidentally kick him or jab him with a sharp elbow which awakens him. He can’t go back to sleep so he goes out to sit in his favorite chair where he leaves his phone every night. Perhaps he turns on the TV and there’s a show about North Korea developing nuclear Weapons. Trump sees that and thinks, “We need more nukes.” He grabs his phone and tweets, “The United States must greatly strengthen and expand its nuclear capability until such time as the world comes to its senses regarding nukes.” 11:50 AM – 22 Dec 2016. Then Melania calls out that he should return to bed (I really don’t want to picture Trump in his boxers, hair amess and scratching his backside) but it is inescapable) which he does and forgets about it. By the time he gets up again the “More Nukes,” headline is in every paper in the country. Posted in Nuclear weapons.Tagged Donald Trump, Melania, North Korea, nuclear, Nuclear weapons, Russia, Soviet Union, tweets, winter. All any Republican wants is to feed the military/industrial complex, which they own. Smart people sound like crazy people to stupid people. Bob, the particulars of what this could do to earth and its inhabitants is absolutely bone-chilling… I have tried not to actually think about what could happen if this ever takes place. I think your idea is great… how do we get that phone out of his hand and stop him??? 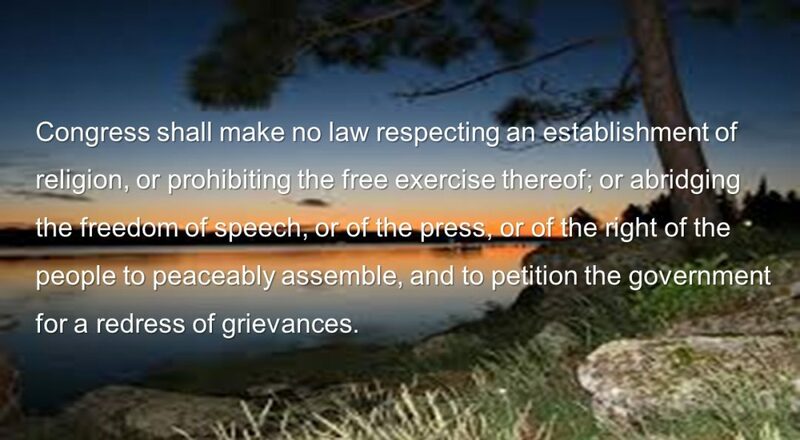 Previous Post The First Amendment Defense Act — Not! Next Post Trump’s Bullying Extends To Cabinet.